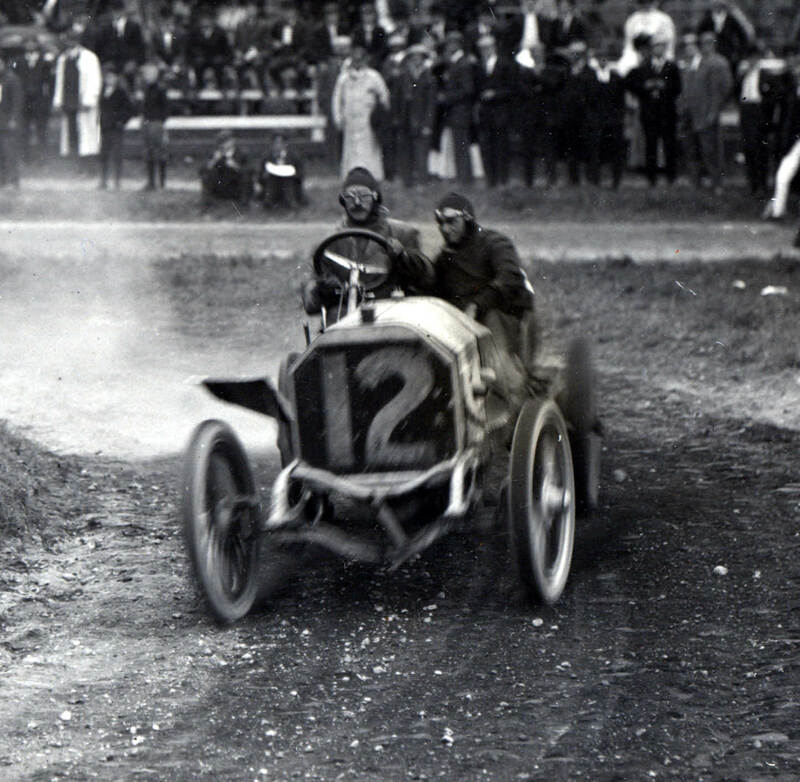 #1 Oldsmobile driven by Ernest Keeler, 40-45 HP. Finished 10th- Broke front axle during lap 2. 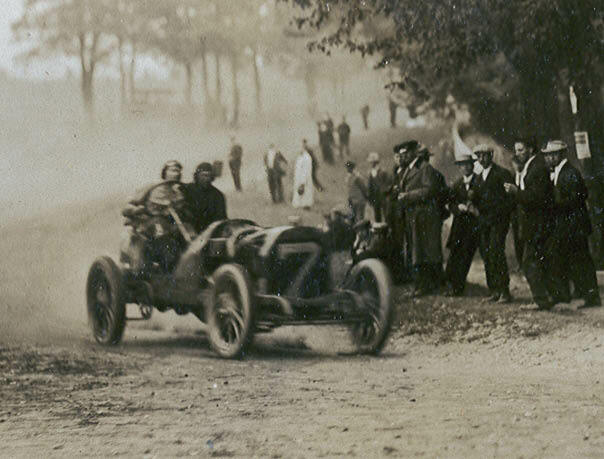 Lee Stohr notes the mechanician in the photo was Harry Miller, who would become one of the great designers of racing cars. 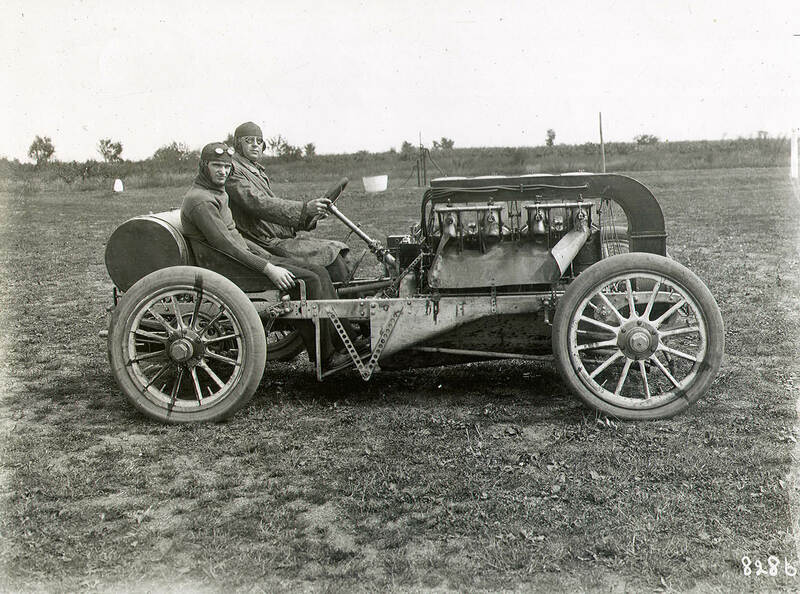 #2 Pope-Toledo driven by Herb Lytle, 120 HP. Finished 4th but disqualified for being towed to restart during lap 8. #3 Matheson driven by Ralph Mongini, 60-65 HP. Finished 11th. 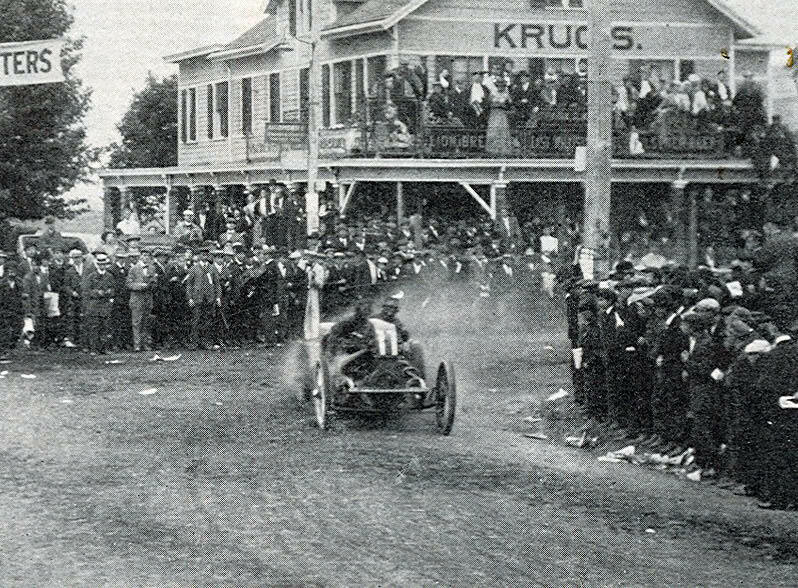 Touring car ditched in Manhasset and collided with telegraph pole during lap 1. 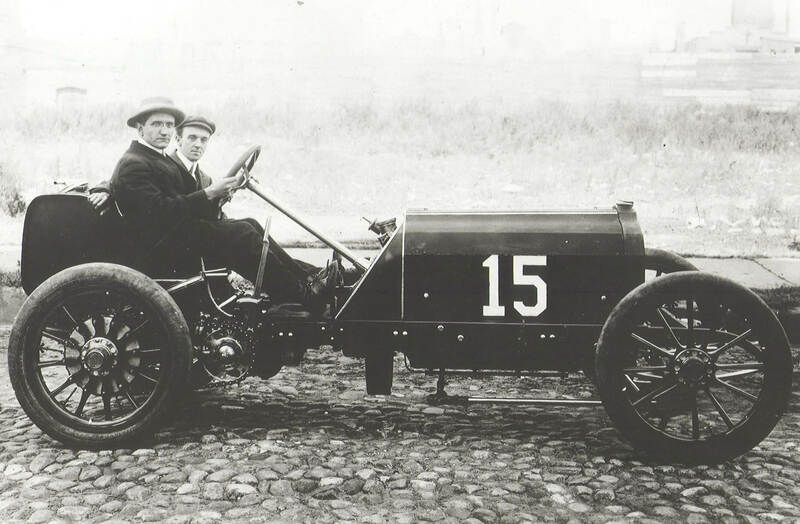 #4 Thomas driven by Gustave Caillois, 115 HP. Finished 7th. Retired with magneto problems on lap 6. 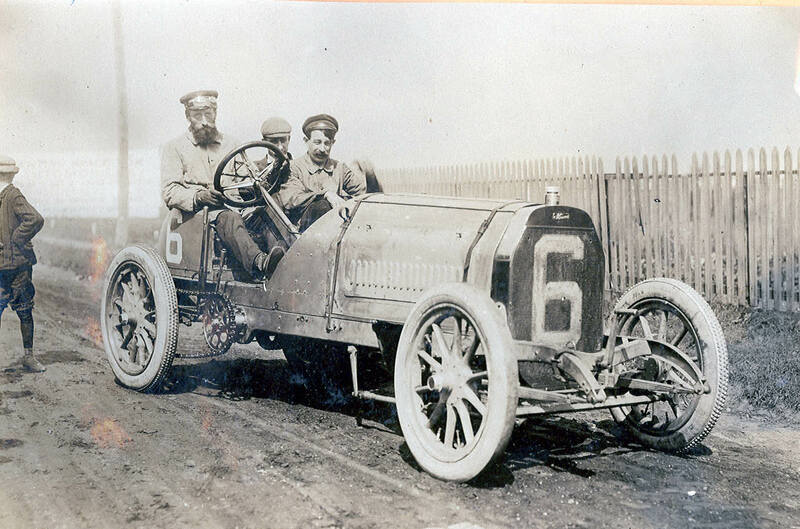 #6 Thomas driven by Hubert Le Blon, 115 HP. Finished 2nd. Qualified for American Team. #8 Frayer-Miller driven by Lee Frayer, 110 HP. Finished 12th. Broke radius during lap 1. 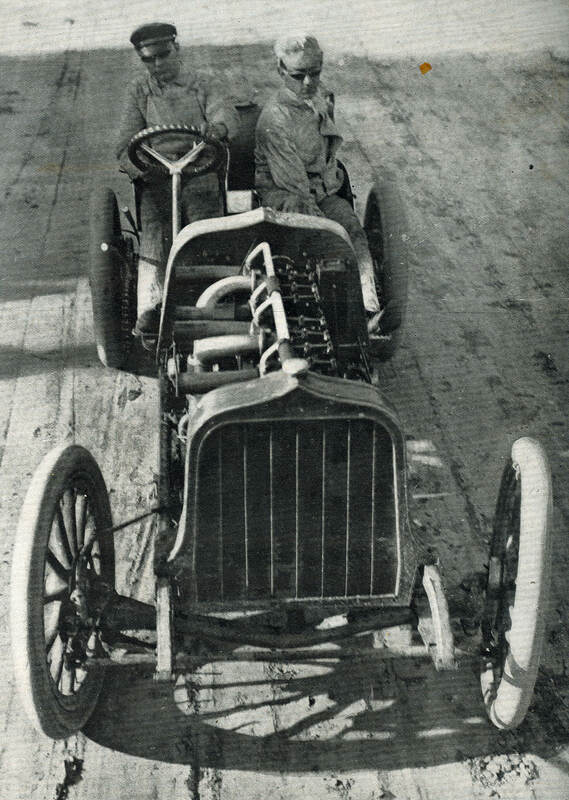 Eddie Rickenbacker was the mechanician. 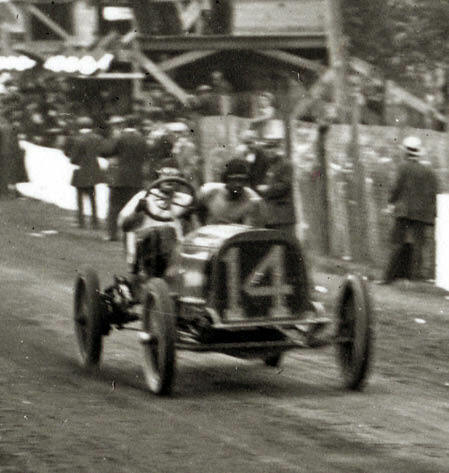 #11 Frayer-Miller driven by Frank Lawwell, 115 HP. Finished 6th. Replaced disqualified Pope-Toledo and selected for American Team. 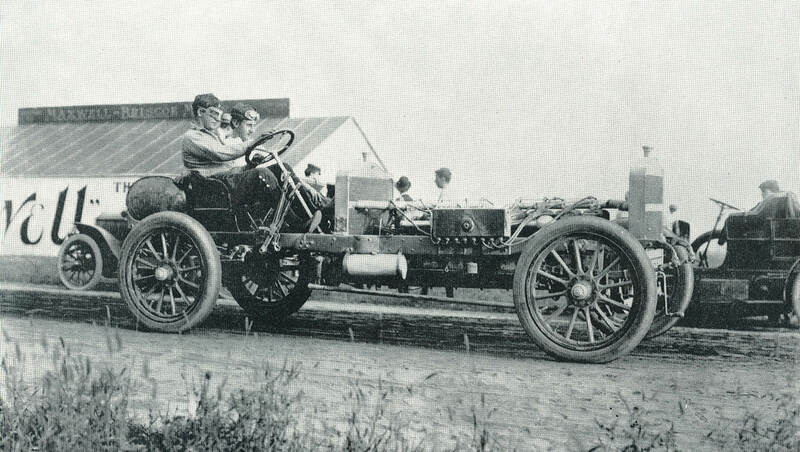 #16 Frayer-Miller driven by Richard Belden, 115 HP. Finished 8th. Broke wheel at East Norwich during lap 5. 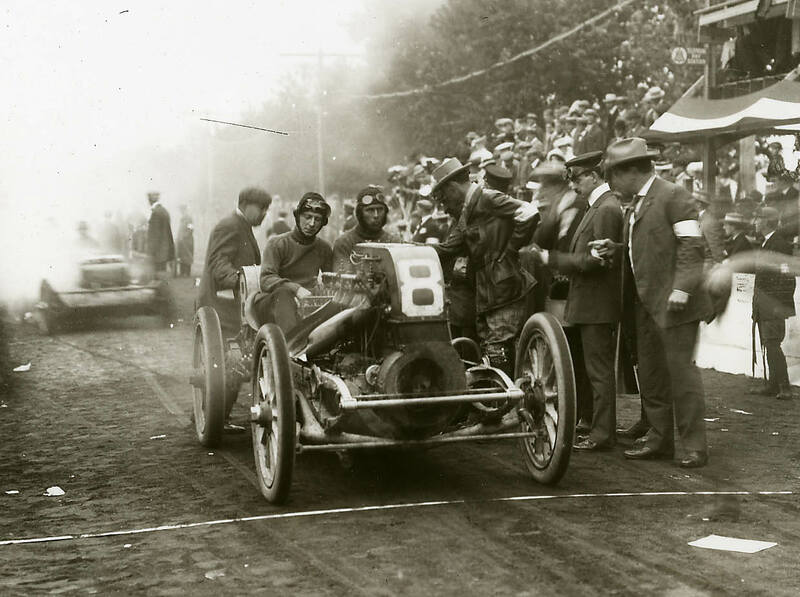 #9 Christie driven by Walter Christie, 50 HP. Finished 5th. Selected for American Team. Replaced larger Christie which crashed in practice. 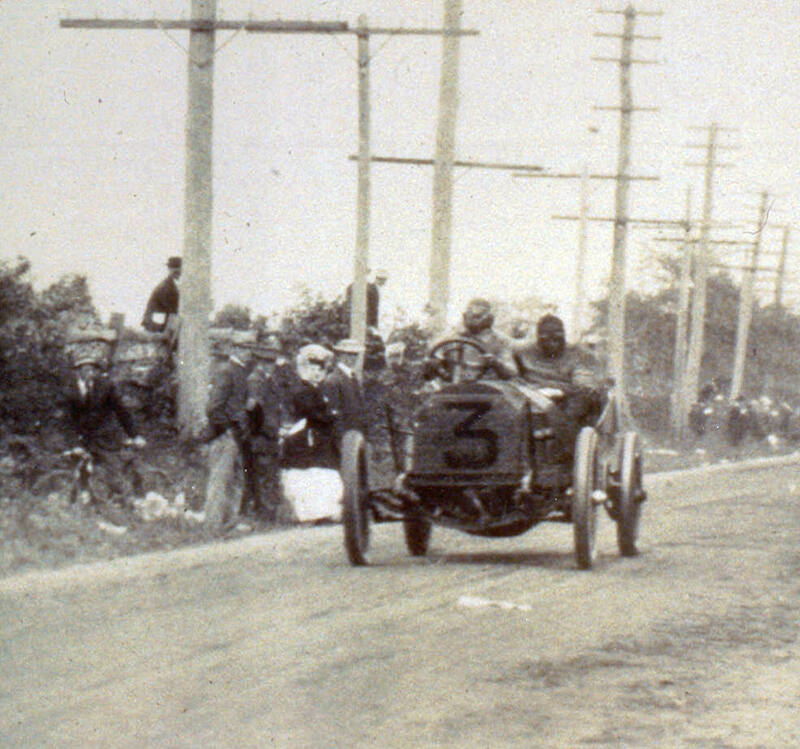 #14 Haynes driven by E.N. Harding, 55 HP. Finished 3rd. Selected for American Team. 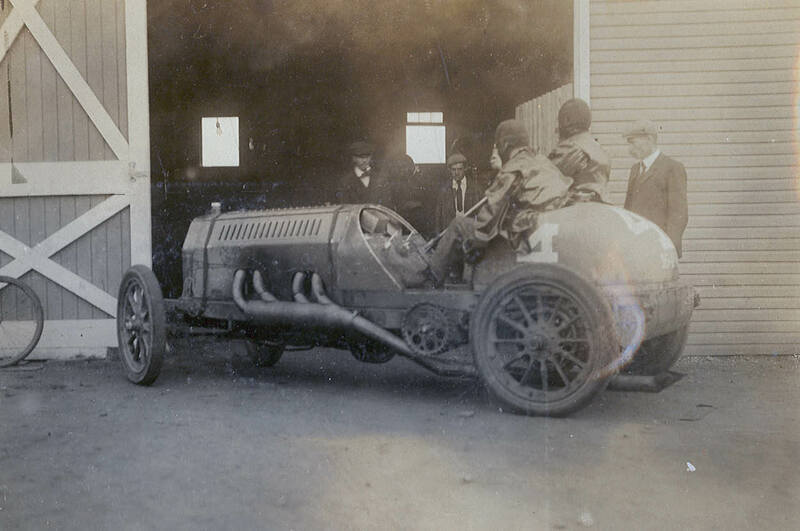 #5 Maxwell to be driven by Owen Wallace,80-HP, 8-cylinders. Did not appear due to damaged crankcase prior to race. Maxwell to be driven by J. Fred Betz, 180 HP, 12-cylinders. Did not appear due to insufficent time for testing. Never ran in competition. #15 BLM (Breese, Lawrance, Moulton) to be driven by Dolbeau. Did not appear due to blowing out cylinder on way to course from New York City. #10 Apperson to be driven by George Robertson. Did not appear. Crashed in practice. Those are great photos! Many I have never seen. 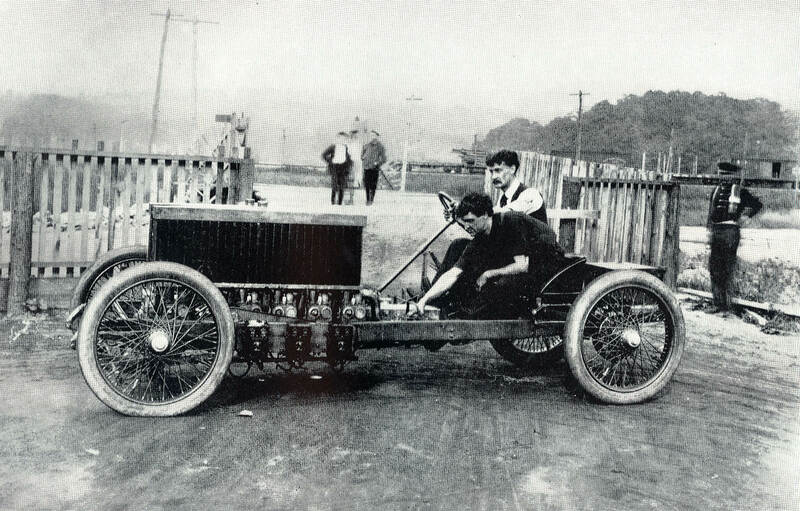 The riding mechanic on the Oldsmobile was Harry Miller. He of course went on to build some of the most successful Indy race cars of all time. Thank You! This site just keeps getting better all the time. I love the photo line-ups. I`ll get the word out to all that I can about this site. I just posted a link your site to the HAMB which is a Hot Rodding site that has early racing fans. There are many thousands of members on the HAMB. PS Wish you could bring the ALCO to the Hershey Car Show in Oct. 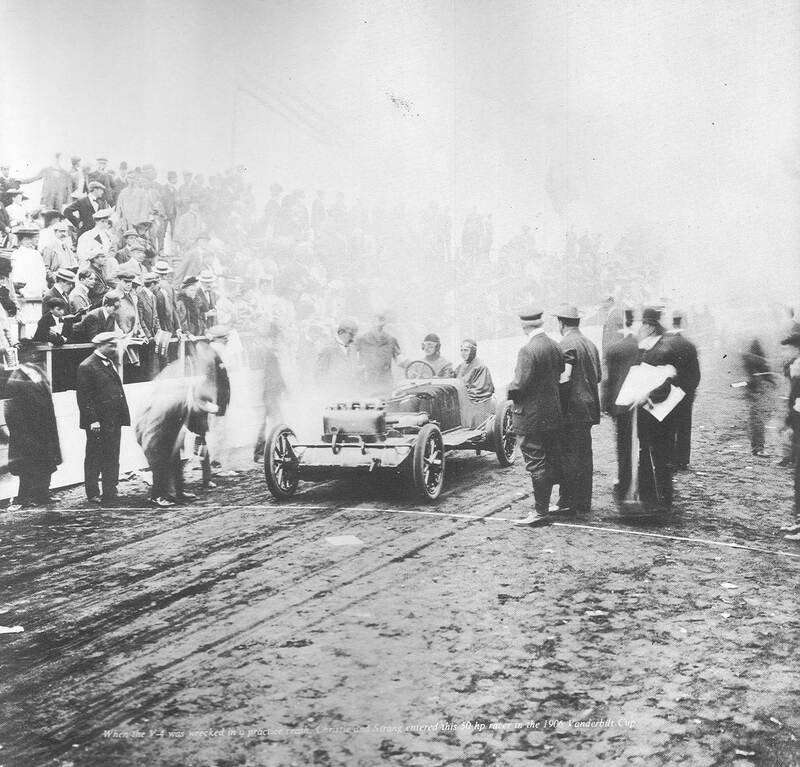 Although the car finished a respectable fourth, it was disqualified because it was illegally towed during lap 8.